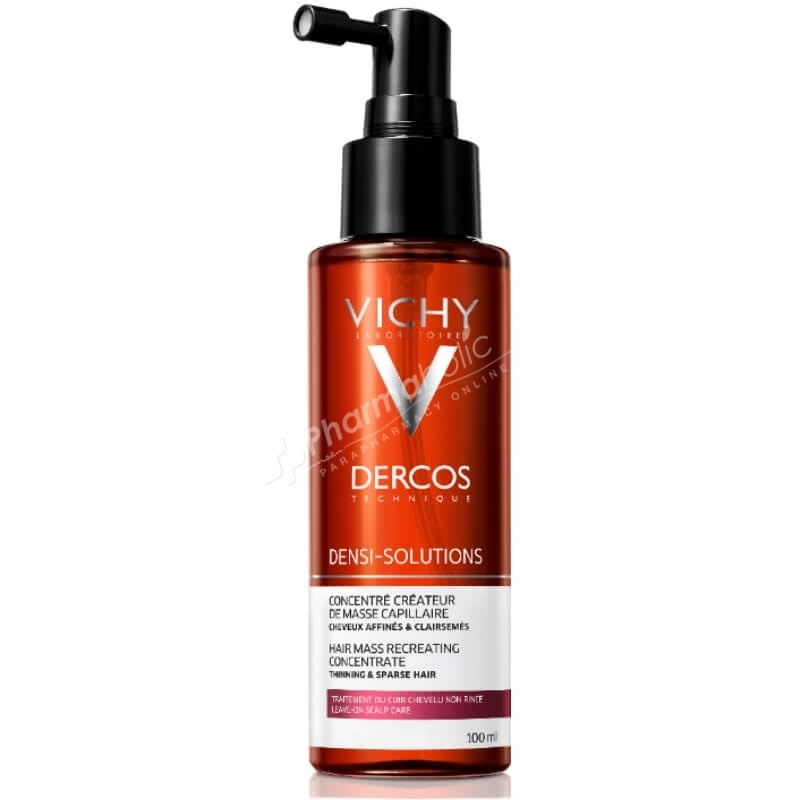 Vichy Dercos Densi-Solutions Hair Mass Recreating Concentrate promotes thicker looking hair in just 6 weeks, when used regularly with Dercos Thickening shampoo and Regenerating Thickening balm. A concentrated balm for thinning, weak hair which promotes thicker looking hair in just 6 weeks, when used regularly with Dercos Thickening shampoo and Regenerating Thickening balm. Alcohol Denat, Aqua/Water, Diethyllutidinate, Citral, Ethyl Ester Of PVM/Ma Copolymer, Geraniol, Hexyl Cinnamal, Isoeugenol, Limonene, Linalool, Mentha Piperita Oil/Peppermint Oil, Menthol, Resveratrol, Rhamnose, Tocopheryl Acetate, Parfum/Fragrance.